E. F. Benson’s beloved Mapp and Lucia novels are sparkling, classic comedies of manners set against the petty snobberies and competitive maneuverings of English village society in the 1920s and 1930s. Benson’s series revolves around two unforgettable characters, both forceful and irrepressible women who dominate their respective villages in southern England and who will eventually end up hilariously at war with each other. Lucia is the more deadly of the two, with her pretentious tastes, treacherous charm, and lust for power. Miss Elizabeth Mapp, on the other hand, is younger and more forceful and able to terrify her opponents into submission. 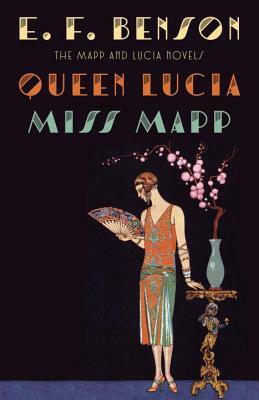 Benson introduces these splendid comic creations in the first two novels of the series, Queen Lucia (1920) and Miss Mapp (1922). E. F. BENSON was born in 1867 at Wellington College in Berkshire, England, where his father (who later became Archbishop of Canterbury) was the headmaster. Benson studied archaeology at Kings College, Cambridge and at the British School of Archaeology in Athens, where he came to know Lord Alfred Douglas and Oscar Wilde. After visiting Henry James in the village of Rye, Benson eventually settled there until his death in 1940; Rye was the model for Tilling, the setting of his six popular Mapp and Lucia novels. Benson published more than one hundred books on various subjects, but remains best known for Mapp and Lucia.